Hello all! 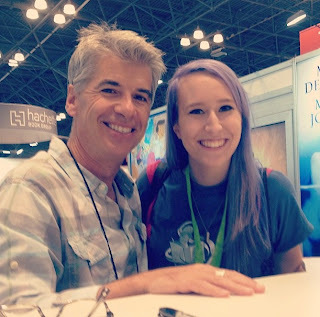 So this year I traveled up to New York for my very first BEA experience. Not to drown you all with too many details except to say that it was a lot of fun. I got to meet our darling leader of The Broke and The Bookish- and let me tell you Jamie is just as sweet in person as she is on the interwebs. I also got to see and meet some of my favorite authors! I tried to keep the fangirling to a minimum- but how are you supposed to tell someone that you grew up with their writing and adventured with their characters without being a little bit gushy. This brings me to SYLO- I had to be picky and choosy about books I brought home from the BEA because I limited myself to making it all fit in my carry-on bag. But as soon as I saw that MacHale would be attending- I knew that a prime spot in my suitcase would be dedicated to this book. The Pace: I know first books of series tend to be full of exposition... but the SYLO did get a bit slow at points. But even with that being said- I still finished it in three days. And also characteristic of a first book in a series- I did not feel as though there was any sort of resolution. The main question of the book (who is SYLO/Why was Pemberwick locked down) wasn't answered until the last few pages. And now I have to wait a whole year to know just why these things are important. The Characters: I can tell that all of these characters have the potential to be really awesome. I am excited to see how the next two books have them grow. Also- without being a spoiler- Tucker was warned not to trust anyone. at all. So now I'm anxiously awaiting and guessing who might be a secret bad guy or girl. I think I have an idea... but again have to wait a whole year ahhh! Overall it was a very entertaining book. I am excited for next year to get here and read on and find out what happens to Tucker and his friends. 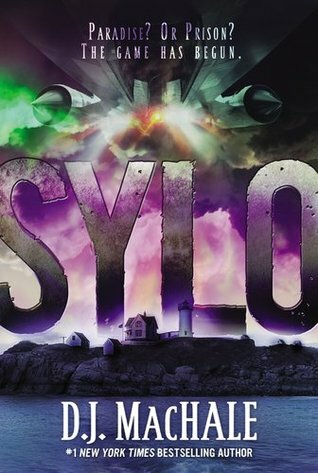 If you need a mystery/dystopian/new series to check out, I suggest you go track down a copy of SYLO when it is released. ALSO OH MY GOODNESS I GOT TO MEET D.J. MACHALE AND HE WAS REALLY NICE AND WE TALKED ABOUT PENDRAGON AND AND AND Thanks D.J for filling my childhood (and now adulthood) with lots of adventure! Hobey Ho! I've heard mixed reviews about this particular book. I do love the idea of the premise - I like fun, action adventure novels and the idea that a mysterious illness is suddenly sweeping through the small town is intriguing, but I was less-thrilled about your comments regarding the pacing. Some authors seem to excel better at laying the groundwork in the first novel of a series than others.